The carriage was being driven to a more remote area, Changle Street. The sound of music could be heard throughout the street. This was an area where many court-owned entertainers were placed. With her guard up, Danzhu looked at Nie Sangyu and said, "Who are you picking up? Didn't you say that you were bringing us back home?" Ji Man didn't respond. The carriage had already stopped. The driver lifted the curtains, and a woman with a beautiful posture and a good figure entered the carriage. She was holding a Chinese lute. Shocked by the sight of this woman that looked worn-down by life, Danzhu exclaimed, "Mistress Jinse?!" Jinse very respectfully saluted Nie Sangyu, then she sat down by her side. She didn't even bother looking at Danzhu. "Because of his relationship with Sir Qian and also recalling his old affections with Lianxue, the marquis definitely couldn't treat Lianxue poorly." Ji Man smiled as she said, "I brought Jinse so that she can take care of Lianxue. Jinse will stay in Qian Residence until Lianxue's health improves." Danzhu slightly trembled. In her arms, Qian Lianxue's brows had also slightly moved. She had been the one that framed Jinse and had the marquis kick her out of the household. This was just one of the many orders that she had carried out. After she carefully carried out this order, she told the third prince that this incident had nothing to do with her. Someone else had been responsible and used her as an excuse. At the time, she had been unconscious and hadn't been able to stop the marquis. The third prince hadn't cared much that Jinse was gone. After all, the marquis didn't favor Jinse. But, why had Nie Sangyu brought Jinse back now to attend to her? Qian Lianxue felt very bewildered, but she didn't dare to open her eyes. Jinse had been born in a brothel and had belonged to it since she was born. When she left, she thought her life was turning around. But, she ended up being Qian Lianxue's innocent sacrificial victim as part of balancing act. Who wouldn't feel angered if they were betrayed by their teammate? It was exactly this anger that Ji Man liked. And so, she had Dengxin redeem her a few days ago, then Jinse was to wait here until they came to pick her up so that she could serve Qian Lianxue. Releasing Qian Lianxue back to Qian Residence was the same as releasing a fish back into a pond. Until her child was found, she had to set a net in this pond. Qian Lianxue had already been brought inside. Before stepping through Qian Residence's entrance, Jinse saluted Nie Sangyu. Her smile was lovely as she said, "Jinse thanks Madam for her great benevolence. Jinse had thought she would be doomed to that life forever." Ji Man smiled back. "Aren't you afraid that I'm using you?" "So what if you are?" Holding the Chinese lute, Jinse lightly plucked a string. "This servant is already accustomed to being used. Besides, if this servant was put away and forgotten, that would feel more tragic." She had gotten so used to looking at people's expressions and accommodating their moods. Actually, as woman that entertained guests, she had been quite lonely. She had wanted to stop at Marquis Moyu's estate, but she hadn't known that the water there was too deep. Even after all of her painted rouge had been washed away, it still hadn't been enough to keep her safe. In the future, she would willingly marry a merchant and live a simple life. Ji Man only smiled in response and went back into the carriage. Qian Lianxue immediately fell seriously ill after returning to her maiden home. It was rumored that it was an incurable sickness, and she was hanging onto her last breath. Ji Man wasn't even the slightest bit worried about her. Qian Lianxue was a clever person that knew when to hide. There were a lot of ways for her to die, but she definitely wouldn't die from being sick. Other than Danzhu, who had left with Qian Lianxue, the rest of the servants in Xuesong Courtyard had remained. They all felt panic-stricken and uneasy. They were terrified that Nie Sangyu would take her anger out at them and make their lives miserable. Ji Man didn't unfairly lash out at them. She just reassigned them to the back of the residence and had them do rougher work than they were used to. Their days were dull, and their monthly allowance wasn't high. From time to time, she would call over a few of them to chat. The people that were called over to talk all said that Madam had only asked about a few unimportant questions. However, a few of the questioned people were sent to serve other honored concubines after coming back, and the other questioned people remained at the back of the residence to do manual labor. As more time passed, some people couldn't restrain themselves any longer and went to Feiwan Courtyard of their own initiative to tell Nie Sangyu information in exchange for a better future. Cheerfully smilingly, Dengxin said, "Master, you're so amazing." 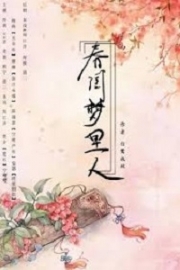 Ji Man meticulously selected a golden longevity charm, placed inside a brocade box, wrapped it up, and said, "This is the effect of praising the hens that lays eggs. Everyone is different. Not everyone will stay loyal to one person. Show a slight amount of benefits, and there will inevitably be someone willing to speak." And, there would definitely be something useful in some of their words. At the very least, she knew for sure that Qian Lianxue was involved in kidnapping her child now. The two newly born babies would soon be one month old. There would naturally be all sorts of gifts sent over to Wen Wan's place, so she didn't need to concern herself with that birthday. Right now, she was about to head over to Liu Hanyun's place to visit her. Since Liu Hanyun had given birth to a daughter, Linghan Courtyard had become quite a lonely place. Other than when Mu Shuiqing would drop by there when she got tired of reciting Buddhist scriptures, Ji Man was the only other guest. Marquis Moyu had bestowed Liu Hanyun various expensive items, but he still went to Qiangwei Courtyard the most. Watching this happening, Ji Man felt somewhat annoyed. This jerk that's favoring his son over his daughter, I hope your son becomes gay and breaks your heart! Personally, she would have wanted a daughter herself. Either way, she didn't know the gender of the baby that she had given birth to. Ning Yuxuan had left the estate early in the morning today. However, he had left through the back gate and had only taken Guibai with him. He had changed his clothing and sneakily gone into a carriage and left. The carriage traveled circuitously for several streets before stopping at Xiangguo Temple's entrance. Xiangguo Temple was flourishing; the air was thick with the smell of burning incense. There were many practitioners of Buddhism waiting outside and asking to see the abbot, but a novice monk kept saying, "The abbot is busy." Marquis Moyu went around the temple and entered through the back entrance. Abbot Xukong really was busy right now. Holding a baby in his arms and feeding it goat milk, he was smiling so widely that he looked liked the incarnation of the future Buddha.